The Udaipur State (530–1949), also known as Mewar State, was a princely state in northwestern India prior to the formation of the Indian Republic. The state of Mewar was founded around 530; the first capital was at Chittorgarh. Later the kingdom would also, and ultimately predominantly, be called Udaipur after the name of its new capital. 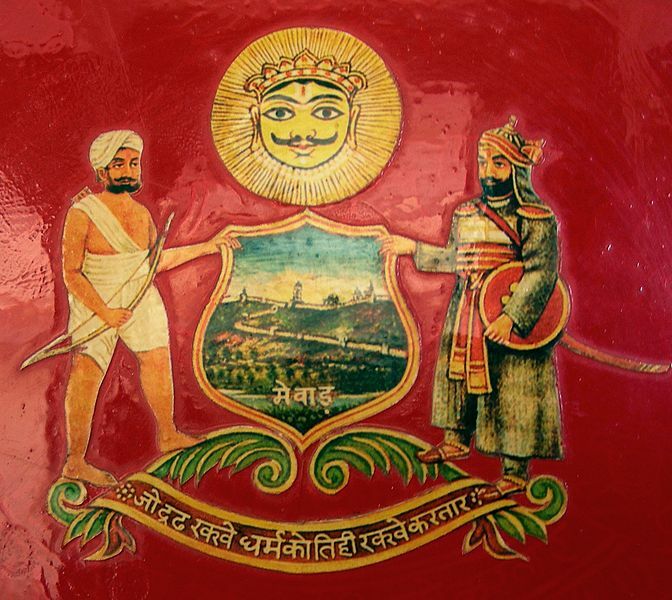 When Udaipur State joined the Indian Union in 1949 it had been ruled by the Chattari Rajputs of Mori Guhilot Parihar and Sisodia dynasties for over 1,400 years. Udaipur was founded in 1559 by Maharana Udai Singh II as the final capital of the erstwhile Mewar kingdom, located to the southwest of Nagda, on the Banas River, the first capital of the Mewar kingdom. The most important vassal territories of Udaipur were Chani, Jawas, Jura, Madri, Oghna, Panarwa, Para, Patia, Sarwan and Thana. Legend has it that Maharana Udai Singh II came upon a hermit while hunting in the foothills of the Aravalli Range. The hermit blessed the king and asked him to build a palace on the spot, assuring him it would be well protected. Udai Singh II consequently established a residence on the site. In 1568, the Mughal emperor Akbar captured the fort of Chittor, and Udai Singh moved the capital to the site of his residence, which became the city of Udaipur. 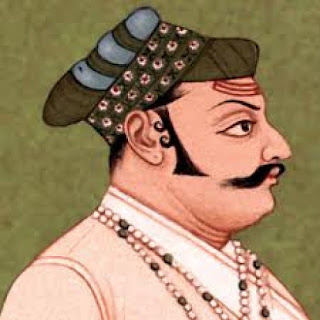 As the Mughal empire weakened, the Sisodia ranas, and later maharanas (also called the Guhilots or Suryavansh), who had always tried to oppose Mughal dominance, reasserted their independence and recaptured most of Mewar except for Chittor. Udaipur State assisted the British East India Company in the Second Anglo-Maratha War, but the request to become a protectorate made in 1805 was refused by the British. Only on 31 January 1818 did the Udaipur Kingdom became a British protectorate. 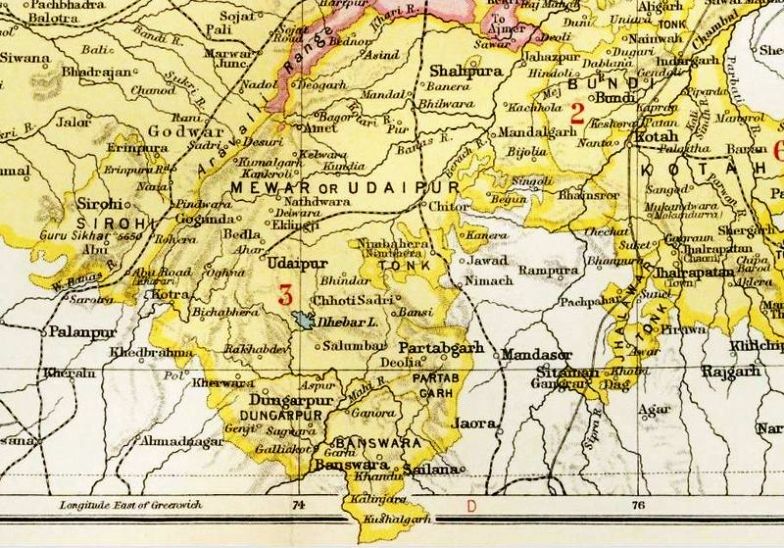 The institution of the Mewar Residency, gave the Udaipur State a measure of political control over the states of Banswara, Dungarpur and Partabgarh. The British authorities granted the ruler of Udaipur a 19 gun salute. Udaipur State became a focus for the Indian independence movement in the 1920s. The last ruler of Udaipur Kingdom signed the accession to Independent India on 7 April 1949. The rajvansh of Udaipur was one of the oldest dynasty of the world. Even the Nepal kingdom and Jammu kingdom are believed to have been originated from Mewar.